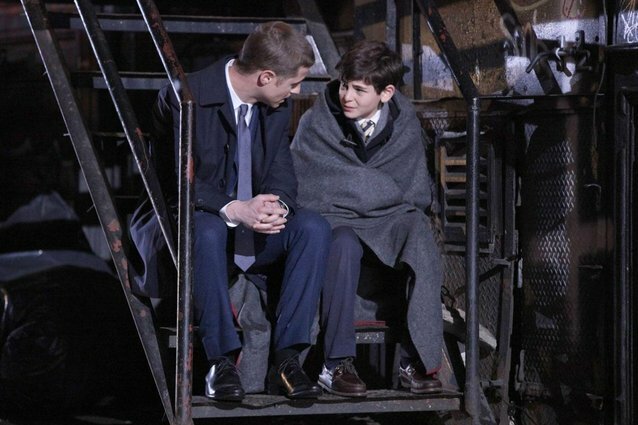 Where Are 'Gotham' and 'Sons of Anarchy' Shooting Today? This week celebrities are busy juggling their day jobs with San Diego Comic-Con. Here’s a look at three TV shows that are filming today before their cast panels at Comic-Con this weekend. Gotham will be part of Warner Bros. Television and DC Entertainment’s special presentation in Hall H tomorrow where the show’s pilot episode will also be premiered. But first, the cast of Gotham is filming at two locations in Brooklyn, around Grand St. and Bedford Ave, as well as Withers St. at Meeker Ave.
On Sunday, the cast of Sons of Anarchy will sit down for their last ever SDCC panel where they will discuss the upcoming and final season of the the show. You can also catch SOA filming on location today around 7702 Klump Ave in Los Angeles right now. Surprisingly, American Horror Story hasn’t had a presence at Comic-Con until this year. For the first time the cast will be at the convention center this weekend to talk about Coven and preview the next installment in the franchise, Freak Show. Before they head to San Diego, they still have a full day ahead of them in New Orleans. This afternoon AHS is filming at Camellia Grill, located at 626 S. Carrollton. Find out where more of your favorite TV shows are filming in my Daily Filming Locations list.